PUNKT 2015 Festival in Kristiansand, Norway, last Saturday, Peer Bode performing the live cinema video event, Hermes. Peer Bode (b. 1952, Rosenheim, Germany) is an artist, educator, and independent-media studio advocate. Bode is a second generation American video artist, his work first appearing in the mid 1970’s. He is associated with the New York, Owego and Alfred schools of independent media art. Bode is Professor of Video Arts and Co-Director/Co-Founder of the Institute for Electronic Arts at the School of Art and Design, NYSCC at Alfred University, Alfred, New York. Recognizing the imposed limits of industrial and consumer technology, Bode sought to externalize the “hidden coding and control structures” of the video signal. As a new media arts practitioner, Bode harnesses historical and emerging media technologies in a reflexive investigation that explores and presents electronic images and sounds in their historical, phenomenological and semiotic conditions. 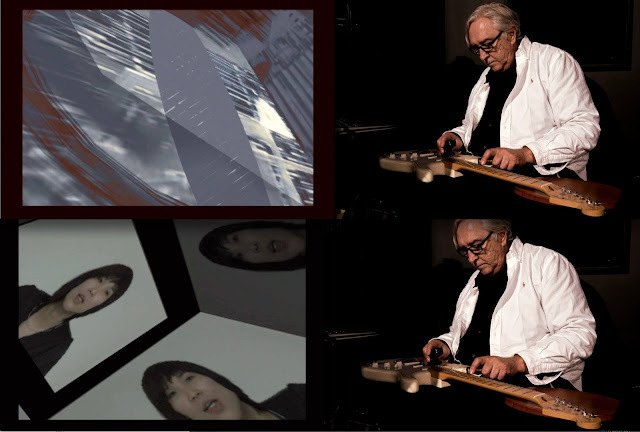 Bode’s work presents spaces, times and transitions that are giddy, excessive, autonomous and poetic, specifically through the synthesis of audio and video signals Peer Bode’s work has been exhibited and collected worldwide, including the Whitney Museum of American Art, Whitney Biennial, the Museum of Modern Art, ICA London, European Media Art Festival, Beijing Film Academy and National Museum of Modern Art Tokyo. He is represented in ”Surveying the First Decade, Video Art and Alternate Media in the United States”, Video Data Bank, Chicago, IL. Peer Bode is cited in the recent book “The Emergence of Video Processing Tools: Television Becoming Unglued”. Intellect Ltd. UK 2014. 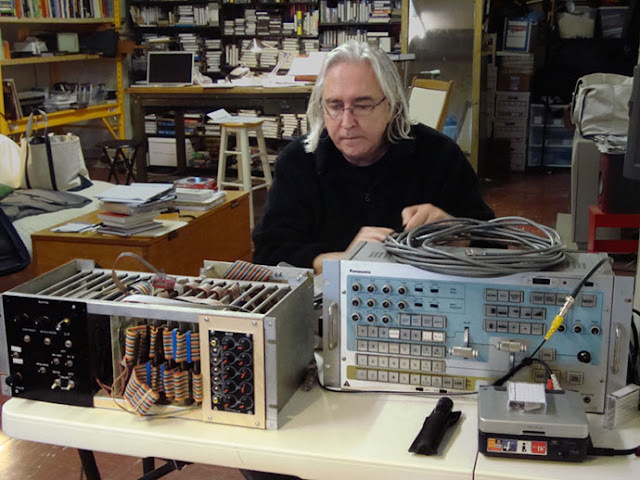 Bode has collaborated on numerous electronic tool building projects with video systems designer David Jones and artist Ralph Hocking. Peer Bode and Andrew Deutsch are founding members of the electro-acoustic “Carrier Band” with Pauline Oliveros, Stephen Vitiello and Rebekkah Palov. Their CDs are available on Deep Listening Publications and IEA and are distributed by forcedexposure.com. Peer Bode is the Director of the Harald Bode Archive. Peer Bode will participate in Punkt Seminar on Friday September 4th, 12:00 – 12:45, at Klubben. His work “Electric Videos Dream of Niagara Falls”, subtitle: “The Learning” will looped and continuously displayed in Hall 7 of Kristiansand Kino from 11:00 to 23:00, while Peer Bode will give live renditions of his piece “Hermes” in Hall 7 14:00 – 14:45 on both Friday and Saturday.